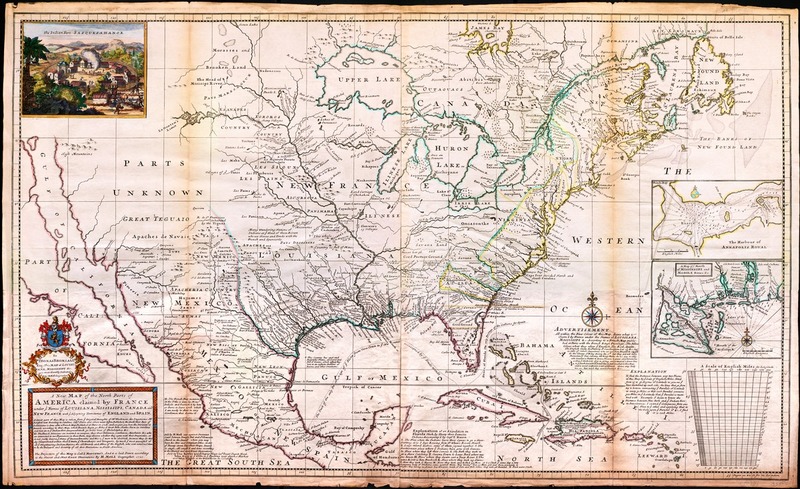 A new map of north parts of North America claimed by France under ye names of Louisiana, Mississippi, Canada and New France with ye adjoining territories of England and Spain. Archives and Special Collections, Mary Couts Burnett Library. https://archives.tcu.edu/repositories/2/digital_objects/87 Accessed April 23, 2019.